It’s easy to buy ice cream in the shop, but the best ice cream makes you yourself. 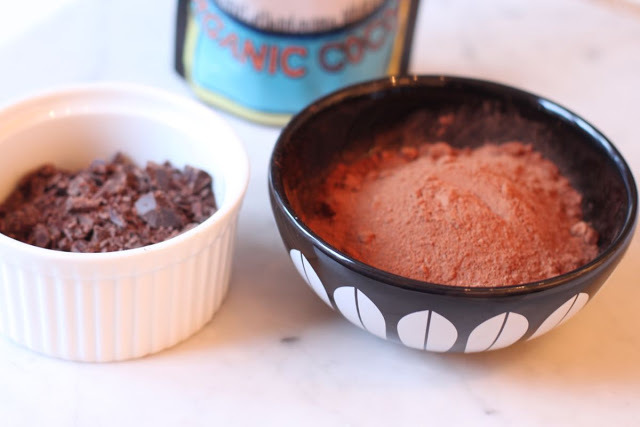 Chocolate ice cream is a classic and using the best cocoa you can find will be the taste of the same caliber. 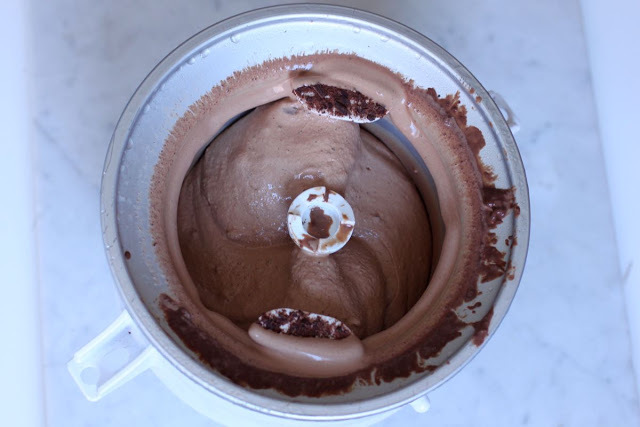 For this recipe, I have used the ice cream bowl for the KitchenAid machine as a tool. It has a fixed place in the freezer, so I’m in theory ready for the production start “at any time”. The truth is that the freezer bowl has been at rest for the past eight months. After this successful attempt, however, I have faith that it will be used far more frequently in the future. In fact, this was not so complicated! The most important thing to keep in mind before you get started is that the process requires some preparation. 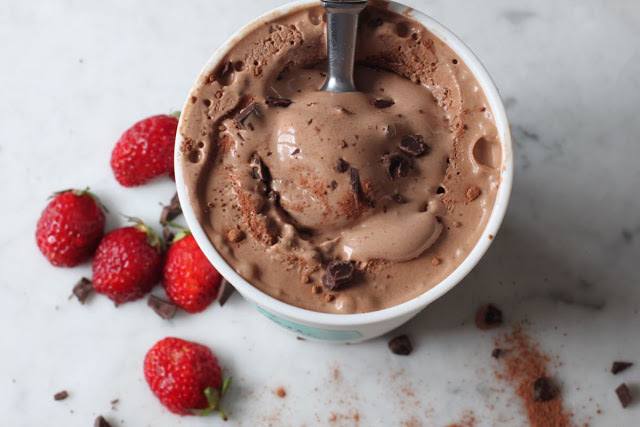 In addition to leaving the ice cream bowl for at least 15 hours in the freezer, the ice cream mixture must be cooled before it is run in the same bowl. Finally, the ice requires 5-6 hours in the freezer before the consistency is perfect. (Have a more advanced ice cream machine, of course, follow the instructions for this). In case of acute ice cream, home-made ice cream is perhaps a longer way to go than to the store. On the other hand, if you see the pleasure of creating an amazing ice cream that can be eaten the following day, read on. When the job is done, I promise that it feels the trouble worthwhile. The recipe is inspired by Hellström’s cookbook “Ice cream factory”, but I have reduced the amount of sugar. The ice cream was absolutely sweet enough anyway. Have cream, milk and half of the sugar in a thick-bottomed boiler, preferably with teflon coat. Warm the mixture to the boiling point while stirring constantly. The milk should steam hot but not boil. Please use thermometer if you have. Take the boiler off the heat. Match the eggs and mix the egg yolks and the rest of the sugar to the airy egg dose. The egg whites can be frozen in a freezing bag and use later, for example. to make meringues or macros. 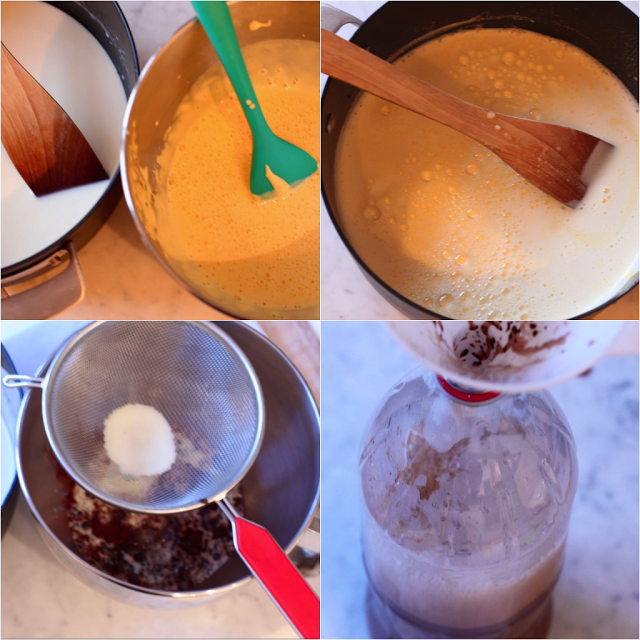 Mix the hot milk mixture gradually into the egg dough while stirring. Then pour the egg and milk mixture back into the saucepan. Use medium temperature and warm with stirring until the mixture reaches slightly below 80 degrees. For full control, use thermometer. Whatever you do, make sure the mixture does not boil. Then you get scrambled eggs. 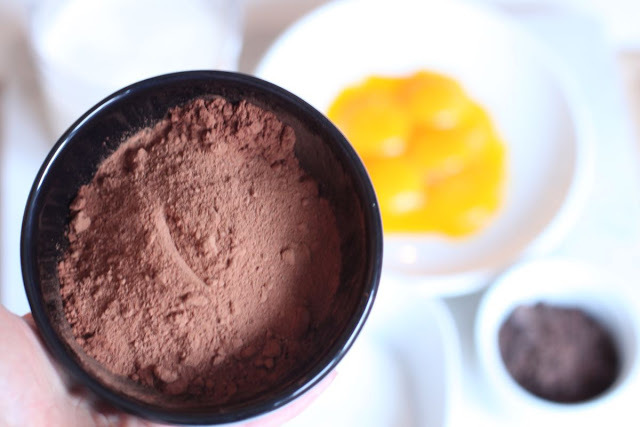 Pour the mixture into a clean bowl (wash the one you used for egg oil) to avoid any egg yolks. Pour the mixture into a one-piece bottle (well-cleaned) and let it cool in the refrigerator overnight. The next day you’ll chop chocolate and stick with the iced ice cream mixture in the ice cream machine. In the KitchenAid machine, the mass runs at the lowest speed for 15-20 minutes. You will see that the mass gets a lighter color and thickens to softis consistency. 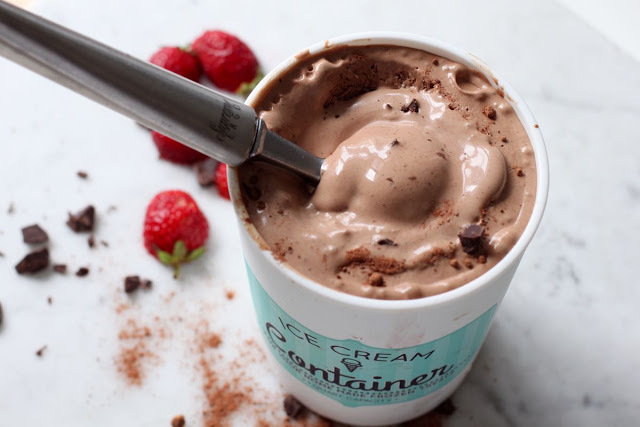 Place icecream in a plastic box, put on lid and place in the freezer for at least five hours. You can also fill ice cream shapes and make pinnais. I did a bit of both. Use good quality cocoa. It provides both top taste and nutritional content. Not that this is any health food, but that the cocoa is stuffed with antioxidants is a good thought in itself. Have the warm milk mixture in the egg dose. Return the egg and milk mixture to the boil and gently heat up to a maximum of 79 degrees. Soak off and let the ice cream stock cool on a plastic bottle of cork overnight in a refrigerator. The next day the mass is run to “softis” in ice cream machine before it is frozen until it is eaten. Five hours later it’s finally time to reap the gain: Sure good homemade ice cream without additives. PS! Would you like to explore other recipes here on the blog? You can easily do that by changing the display of “Magazine” to “Flipcard” in the left-hand menu. Then you get to this view and get all the recipes categorized with image.